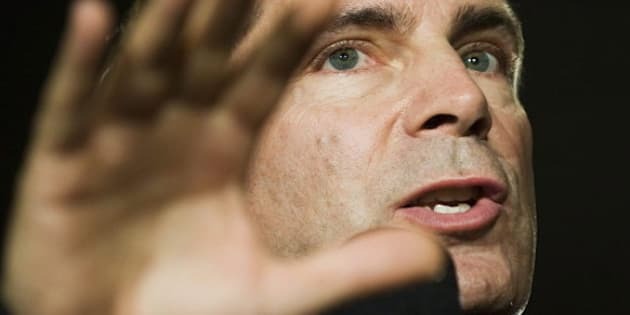 TORONTO - Premier Dalton McGuinty says he has no immediate plans to go to Elliot Lake to comfort a community still reeling from the mall collapse that's killed at least one person. But he wants the people of this small northern city to know that they are not alone. "We understand what they are going through, we feel for them, they have our prayers," McGuinty said Tuesday. "But more than that, they have our active support and we will do everything we can in order to hopefully secure the building and allow ourselves to get in there and get access to people who may be trapped there." The premier said he would go to Elliot Lake if he thought his visit would expedite the search and rescue operation. "I don't believe that is in fact the case, so I'm not going to be there at this point in time," he said. But questions have been raised about the response to the disaster. The mayor of Elliott Lake told CBC News that the provincial emergency co-ordinator arrived late Monday. McGuinty, who was in Sudbury the day the roof collapsed, said now is not the time to point fingers. "I think that we need to be focused right now on doing everything we can to help those people," he said. "Some may want to engage in some kind of a blame game, I just don't really think that's appropriate." Emergency crews plan to dismantle part of a collapsed shopping mall in order to rescue anyone still trapped inside. They abandoned the site on Monday when it was deemed too dangerous for crews to go in, but reversed that decision after McGuinty intervened. Asked if he thought rescue efforts were called off prematurely, McGuinty remained tight-lipped. "I'm not going to second guess the decisions that were made on the ground and why they didn't want to pursue this additional option that I've asked them to actively consider," he said. Opposition Leader Tim Hudak echoed the premier's comments, saying McGuinty's intervention to keep looking for survivors was a "natural human reaction." "There are certainly some folks who will have much to say about this afterwards, but right now I think the most important thing to do is focus on getting folks out," Hudak said. "Leave the questions to later. Let's save lives." Note to readers: This is a corrected story. An earlier version erroneously reported that the mayor said he didn't speak to McGuinty until Monday.